Blog Guidebook: What Should You Do: Before You Blog? 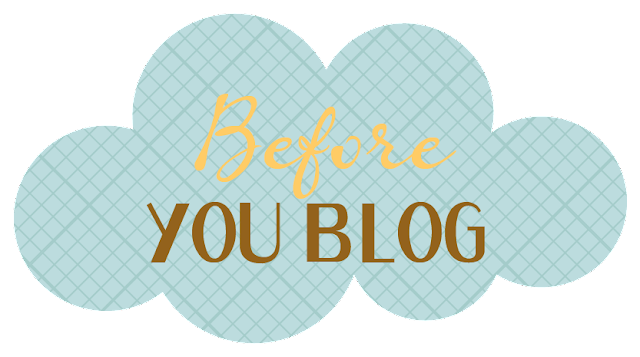 What Should You Do: Before You Blog? If you blog for pleasure (a hobby, a scrapbook, a journal etc.) then you don't have to read this post. But if you think you might ever want to turn semi-pro blogger then maybe you should. Professional bloggers are those that blog and somehow make money, get free stuff, earn a living or are well known by others in their industry. 1. Pick a niche for your blog. Know the industry. Stay focused on your path. 2. Figure out early on what you want your image and style to be. Make sure you love it and stick with it. 3. Put a lot of thought and energy into discovering what the name of your blog should be. Remember, this is going to be who you are for a long time. Re-branding yourself is not a good idea. 4. Learn to market yourself. You are worth it. 5. Find something you can do really well to be able to market yourself and to be seen as a leader in your niche. 6. Find your voice and use it. Don't write one way and speak another. Readers will be excited to meet you and hear it from the horse's mouth. Be seen in the real world at conferences and conventions. 7. Get help from those who can do things to help you, such a programmers, graphic designers and others who are successful. 8. Listen to feedback you will get from your readers...they'll have great suggestions for your success. 9. Learn what blogging is all about. Build a blog that YOU would want to visit and read. Keep it clear, clean, beautiful, and focused on your goals. 10. Blog because you love it and not because you think it's a good way to make money. Success doesn't (usually) happen overnight. You have to have quality information, purpose driven posts, and a lot to say and that takes hours of writing and learning. Keep blogging and have fun doing it! You did? That's awesome! We'll have to pop over for a visit! Thank you for these really great tips. I appreciate so many of your tutorials. They help me so much in this blogging journey. Thank you everyone for your kind comments...I'm glad we can inspire you! All of this is SOOOOO true! I also am struggling with having TWO blogs…they definitely don't need to be joined together though. Anyway, a very frustrating thing for me is that so many bloggers simply post pictures and don't write a thing! I do put a lot of time and effort into my blog for my shop and never want it to appear that I didn't do my homework! Why do so many blogs flourish when there's really no substance to them? I guess they are just very good visually and it's an easy escape. Sometimes that's what I like to read as well so I can understand. Anyway, thanks for this post! I think I will refer to it often! I totally agree with this! I think it is so important to blog what you love because you will be more likely to stick with it! I took a year off from blogging because it wasn't keeping my interest. It really makes a difference if you are passionate about it!